My maligned husband has registered his disapproval of my lack of engagement with Twitter. I think I may have to give him “brownie” points on that front. 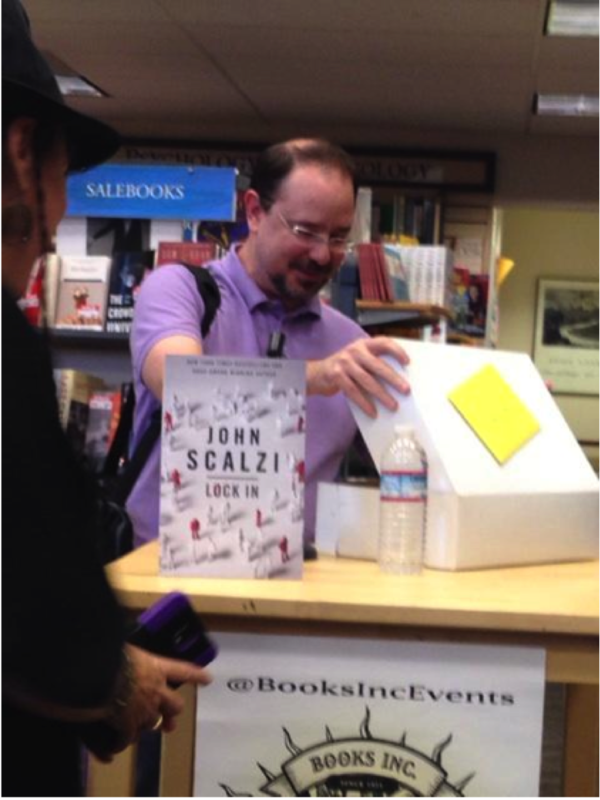 The fun with John Scalzi that evening at his book signing (see Part I) continued over the next day on, you guessed it, Twitter. So here are the Tweets made concerning the killer chocolate chip/Oreo cookie, peanut butter cup, chocolate brownie death dessert that Hubby and I made for John Scalzi. Don’t tell James, but I really got a kick out of following twitter that week! Some awesome person in the crowd gave me Oreo/Reece’s/caramel brownies. My life is EXCELLENT. My plan for the day is to lie around in bed and eat brownies until at least noon. 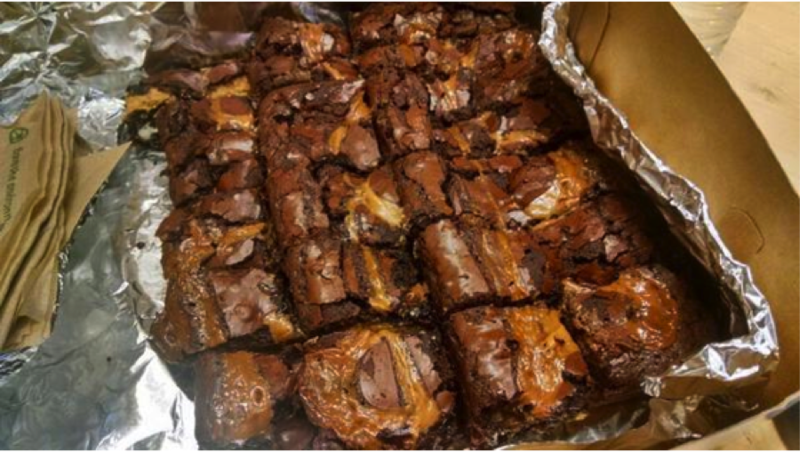 The brownies I have are layered as such: Choc-chip, oreo, peanut butter cup, brownie, caramel. I ate one. No need to eat for rest of day. Remember when I said my plan was to stay in bed until noon and eat brownies? ACHIEVEMENT UNLOCKED. Okay, seriously though, I need to get out of this bed and take a shower now. That said, I’m not gonna lie. Sleeping late and then laying about in bed all day eating brownies is an introvert’s Best Day Ever. The guy next to James Tweeted this one…my right ear’s 15 minutes of fame. Denise was there, too, Tweeting away. Does everyone Tweet but me? I’m beginning to think so. My friend Jennifer gave Oreo-brownie-caramel layer bars to John Scalzi tonight.